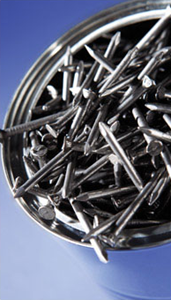 Build it supplies fixings, nails, screws, hardware and ironmongery. This department caters for all your hardware needs, including drill bits, car care, twine and rope, protective clothing, lubricants, fibre glass DIY and chain. Build it has a comprehensive range of products in this category, with several products carrying the Build it Housebrand range, which is of a high quality and is highly recommended.